More than a century of visionary library leadership and county officials who have realized the importance of a library as a center of information in a community and supported its existence. A phenomenal staff; anyone who has visited one of the library branches knows how competent, hardworking, and service-oriented the staff members are. A dedicated corps of volunteers and donors whose generous contributions of time and finances make the difference between a good library and a great one. Library Foundation was established to augment the considerable attributes of the public library system. 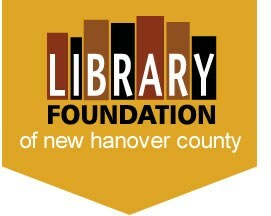 The mission of the Library Foundation of New Hanover County, a tax-exempt organization, is to strengthen the services of the New Hanover County Public Library by providing funding that complements, but does not supplant, the responsibilities of New Hanover County to adequately support its public library system. Thank you for supporting the library.